Fluorescent and incandescent lights are two of the most popular choices for home lighting. For many years, incandescent lighting has been preferred, but fluorescent lights are beginning to gain popularity due to their energy savings and long lives. Because of the energy savings of fluorescent lights, they do not need to use as many watts as incandescent versions. Equivalent wattage is judged based on lumens, or the measurement of how much light a bulb produces. Essentially, if both fluorescent and incandescent bulbs produce the same amount of light, their respective wattages will be equivalent, showing how much energy it takes to make the same amount of light. For lumens in 500 to 600 range, it takes about 55 watts for an incandescent bulb to operate, while it takes only 10 watts for a fluorescent light. A 75-watt energy use on an incandescent light would only need to be 11 to 15 watts on a fluorescent light. While equivalent wattage numbers are useful for showing the difference between the two types of bulbs, it is not as useful when choosing the bulbs themselves. Bulbs only come in certain wattages, which make equivalent versions slight different. A 9-watt fluorescent bulb, in this case, is equal to a 40-watt incandescent bulb. Around 20 to 20 watts in a fluorescent bulb is the same as 100 watts in an incandescent bulb. 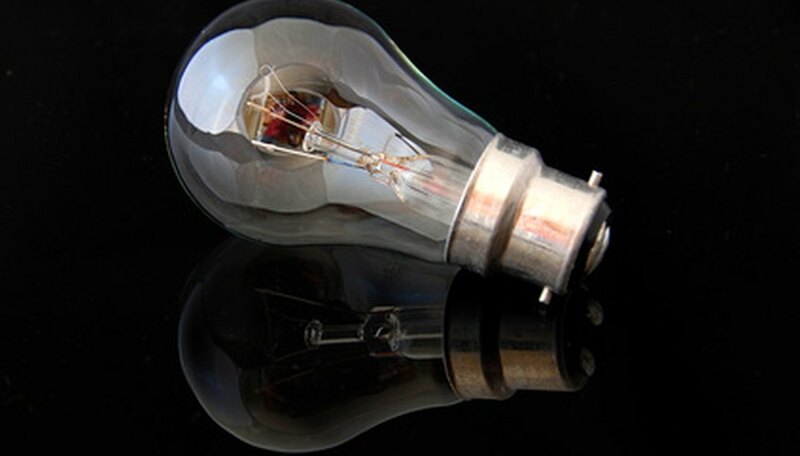 Differences will also occur between types and sizes of light bulbs. Incandescent light tends to be a warm white color, mostly because its light wavelengths pass beyond the visible spectrum and include many infrared wavelengths. This range, including red visible and invisible light, gives it a more natural color. Fluorescent lights tend to be white or bluish, but their color depends on the temperature of the light produced, with light around 6500 Kelvin produced wavelengths across the spectrum in a way similar to daylight. Lacoma, Tyler. "Equivalent Wattage of Fluorescent & Incandescent." Sciencing, https://sciencing.com/equivalent-wattage-fluorescent-incandescent-6509981.html. 25 April 2017.